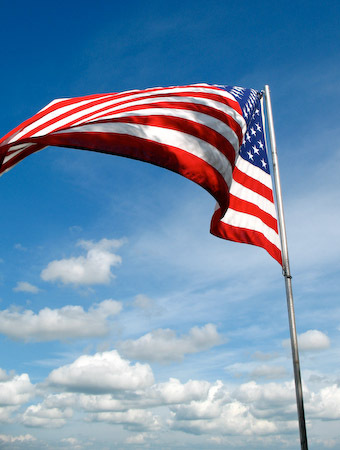 Today we remember the Americans who have served our country and honor those who are doing so now. 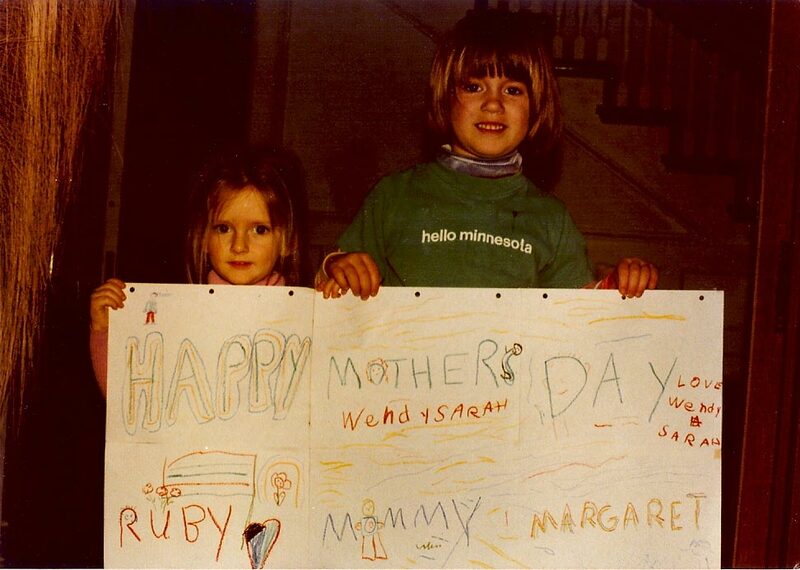 This holiday reminds me of an article which ran in the Star Tribune a few weeks ago. 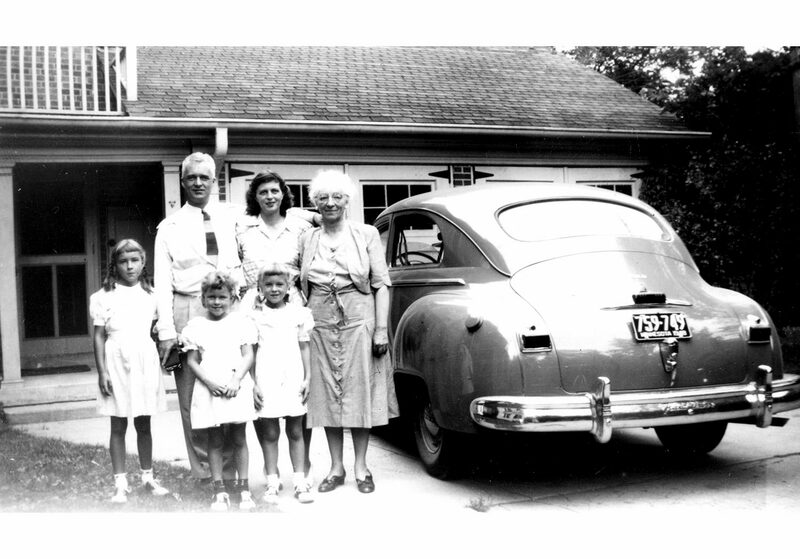 It’s a story of similarities shared between a grandfather and his grandson and the unforeseen support provided by handwritten letters. It did not make the headlines of our local paper but a few weeks ago the U.S. Postal Service received lots of press, both good and bad. Let’s start with the not so great news. 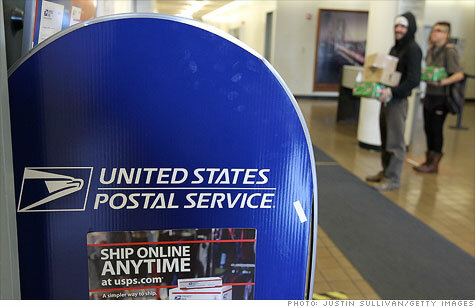 The Postal Service reported a quarterly loss of $3.2 billion which is $1 billion more than during the same period last year. Ugh. And they are seeking to eliminate Saturday mail delivery and reduce health and other labor costs. Double ugh. 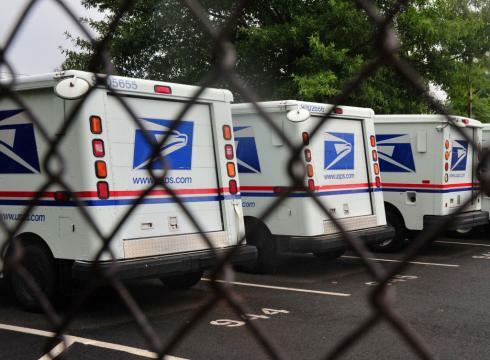 The good news is, due to strong public opposition, the Postal Service backed off a cost-cutting plan to close thousands of rural post offices, proposing to keep them open with shorter operating hours. This would save about $500 million a year over the next few years. 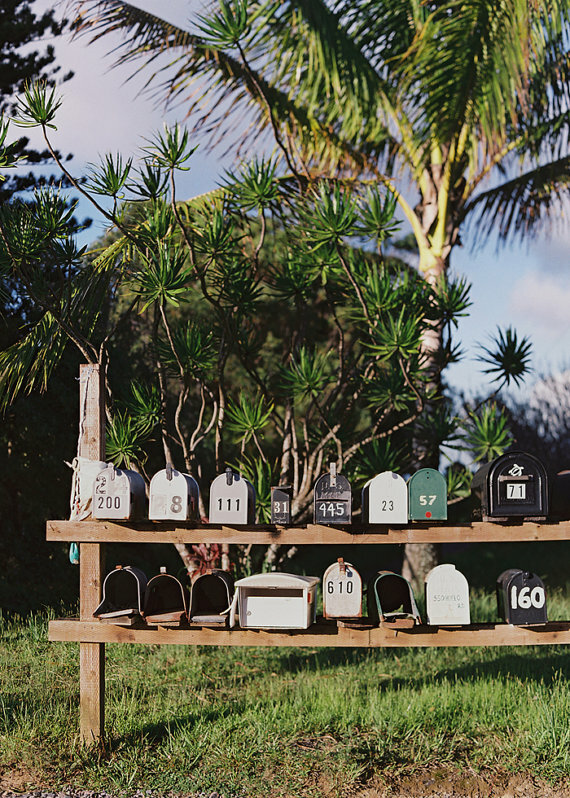 So we say, let’s keep those postal service workers busy with our own personal mail! Thankfully, our friends have been embracing the postal service lately, filling our mailbox with postcards from around the globe. The other day I received a card from my friend, Nellie, who was recently in San Diego for work staying at the historical El Coronado Hotel. 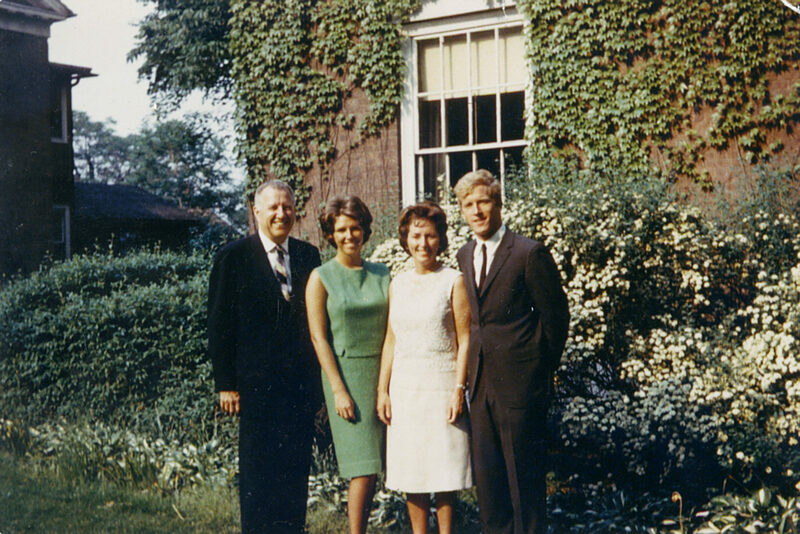 Long ago we spent our holiday break on a mission trip in the San Diego area. 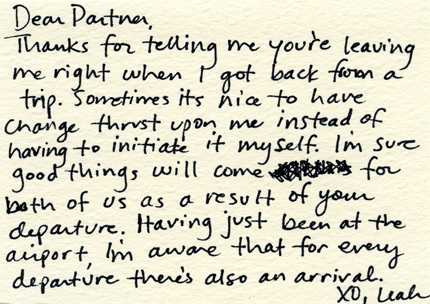 I hadn’t thought about that trip for a long time but her card triggered the memories to race back. 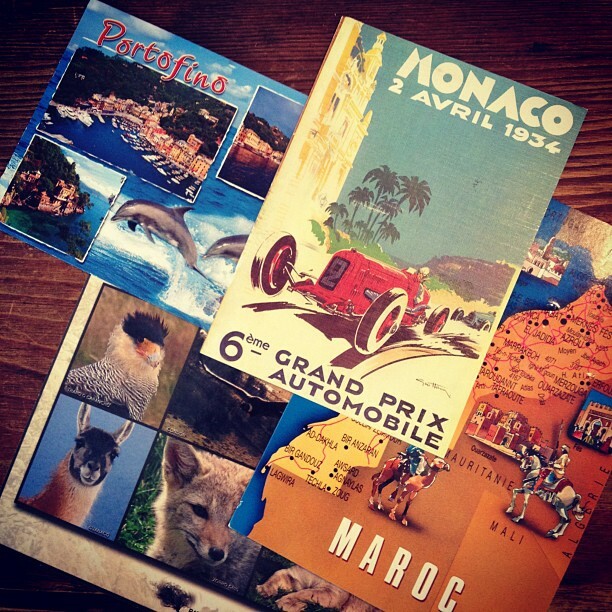 Our friend and brown ink supporter, Jenni, has been traveling for work the past month but still has time to mail postcards to the boys from Chile, Morocco, Monaco, Portofino and more. They adore listening to her adventures with details of unusual animals, castles with royalty, race cars and gelato. 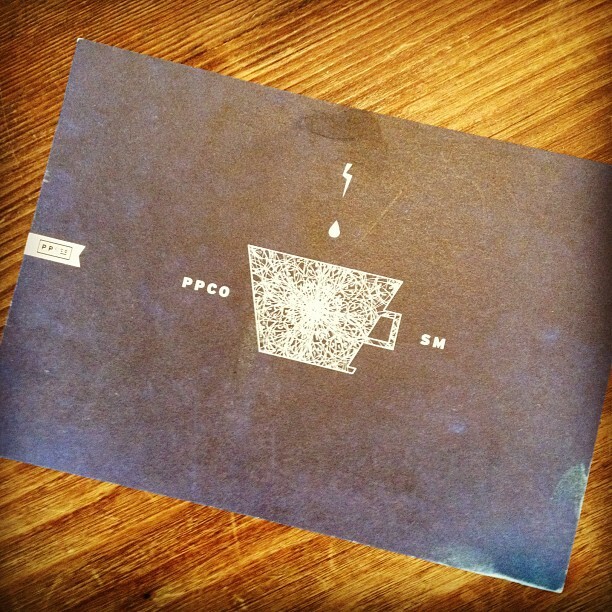 Another friend, Jenny, from LA, sent me this postcard from Primo Passo Coffee Co, a new coffee shop in Santa Monica. It’s a cool card, containing a wonderful and quick Hello from a friend I unfortunately don’t see as often as I’d like. So simple yet so meaningful. But you don’t have to travel to send a postcard. 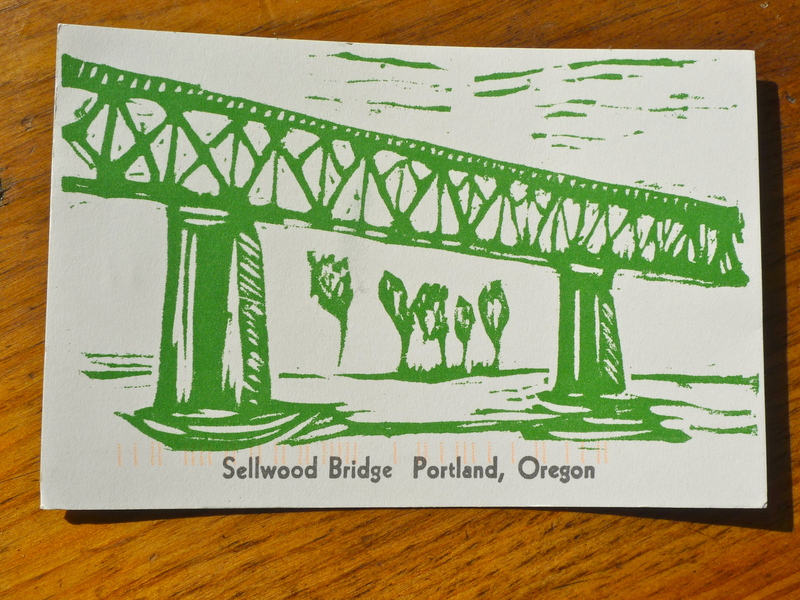 My friend Katherine who lives in Portland sent me a postcard this year of a bridge we crossed while on a long run together years ago. It’s a great memory she brought back to life with a simple card. So wherever the road may take you this summer, grab some stamps, a pen and small address book along for the ride. You never know where you might find a postcard just itching to be sold, used and enjoyed. Pat has landed at his next destination. Onward he travels, supporting our Postal Service. Last month I was introduced to Donna Erickson, a contributor to the Pioneer Press and fellow blogger. 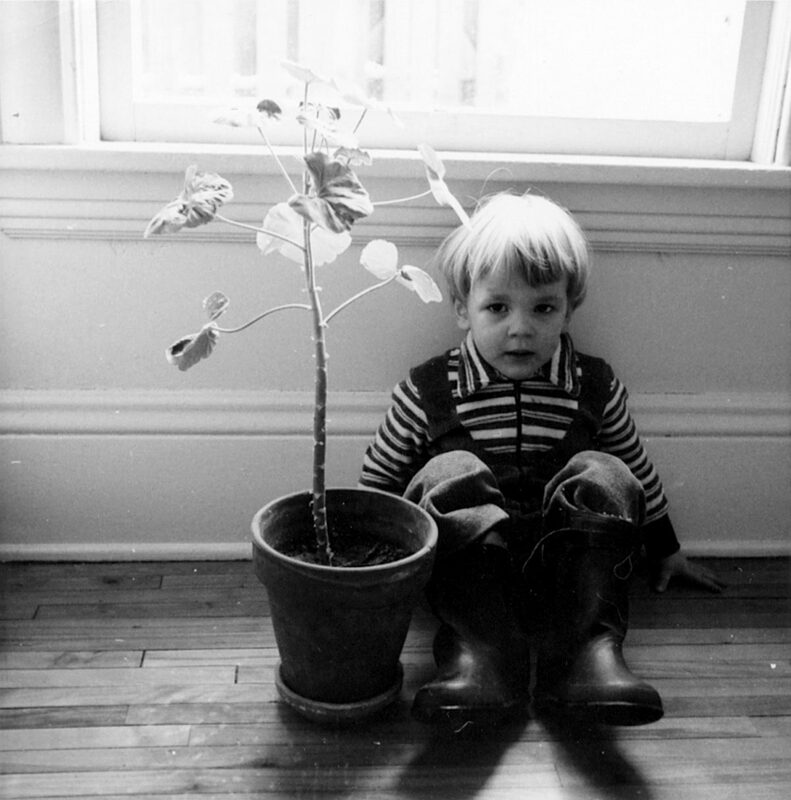 One thing led to another and before I knew it, Emmett and I were being interviewed for her weekly article. Yes, brown ink has made it to the old-school, black & white paper. Cheers Donna. 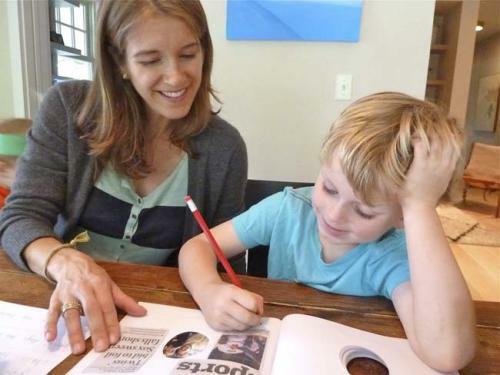 The article, Give Your Kids a Hand in Writing a Thank-You Note for Teacher, is about an idea Emmett and I had about wanting to thank his teachers, in a personal way, for their year together. As I have mentioned before, I personally do not carry a crafty gene but once this idea took off there was no stopping the possibilities. Even if we hadn’t created a book, a handwritten card from a child to a teacher is priceless. Now write! I’d like to think most of us give thanks in different ways everyday of our lives. Maybe it’s grace before meals, thanking a stranger for holding the grocery store door, or appreciating a family member who supported you in a conflict. But how often do we actually write down these thoughts and send them to the people who are least expecting to hear from us? Not that often. Here are some exceptions. 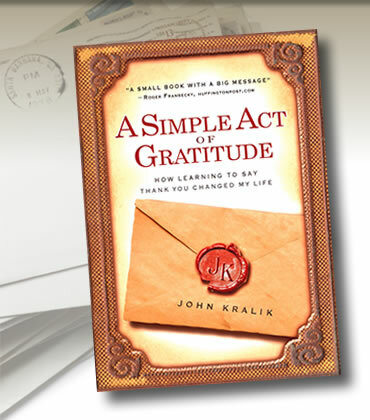 John Kralik was a single, unhappy lawyer with a firm going down the tube when he unknowingly put a spin on his life by writing thank you notes to the people who touched his daily life. From his haircutter to the barista gal at Starbucks, he reached out to people through short, handwritten notes of gratitude. This effort changed not only him but also had a meaningful impact on those he was thanking. 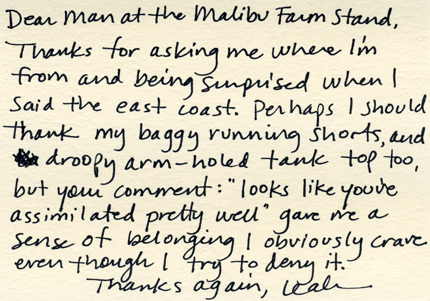 Giving thanks through a handwritten note became a daily practice for Leah Dieterich in 2009. Most days Leah worried about the future, ignoring her present day surroundings. Once she began writing daily thank you’s she found gratefulness in everyday life. 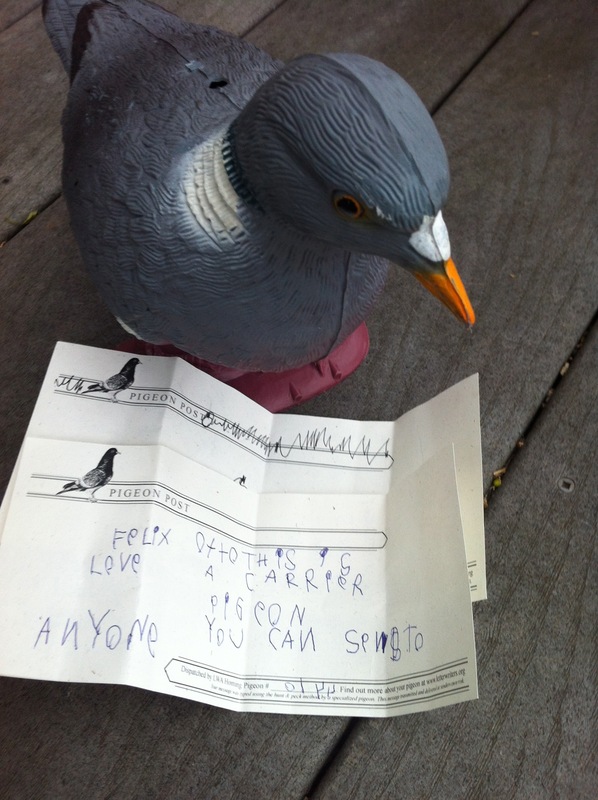 Thanks to her mother’s motivation, Leah got into the habit of writing a thank you note everyday, be it for the birds out her window or a relationship which went sour. Her notes developed into a daily website thx thx thx where she shares her writings (which then became a book as these things do). She now finds hope in all things surrounding her. Yes, yes, this all might sound a bit too forced and pollyannaish for some of you. 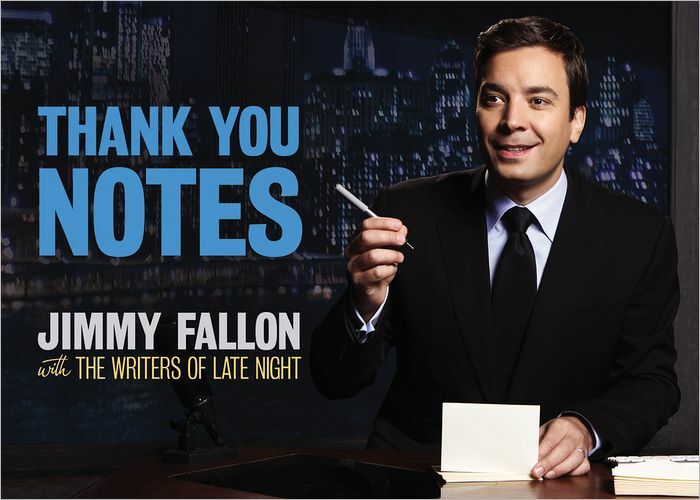 So before you click out of brown ink, check out one of the Kings of Comedy, Jimmy Fallon. I can never stay up late enough to watch Fallon so I picked up his coffee table book. To sample a few…”Thank you expression ‘with all due respect’ for letting me know when people are about to say something with zero respect.” or “Thank you Febreeze, for allowing dirt and filth to live freely among us in total secrecy.” or “Thank you ‘People You May Know’ feature on Facebook, for never introducing me to a single person that I actually want to know, ever. More accurately, your title should be ‘People I Do Know but Am Avoiding.’ Thanks.” You get the gist. It’s a bit cheeky but at least he’s writing! My sincere hope is to notice moments that remind me of the simple fortunes that surround me, especially the little ones I didn’t ask for or see coming. The other day our sons were playing outside with a gem of a neighborhood girl. She’s three years older than Emmett but he would consider her his best playmate aside from Ollie. It would take me three minutes to send her parents a note mentioning what a positive influence their daughter has on our boys lives. And so I will. And we hope you do the same. A big SHOUT OUT to our mothers today, the women who are behind the idea for brown ink and continue to inspire us on a daily basis. We love you. And we love your reminders of the importance of handwriting.